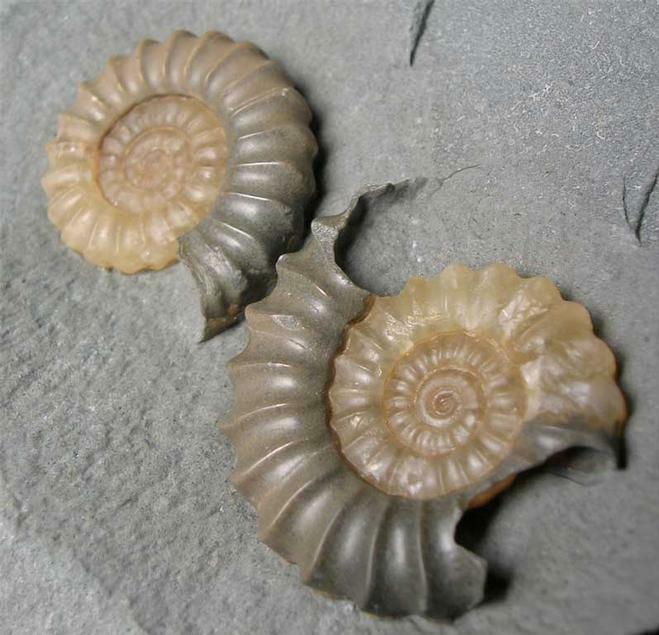 Two very large and stunning examples of the largest types of the Promicroceras group. 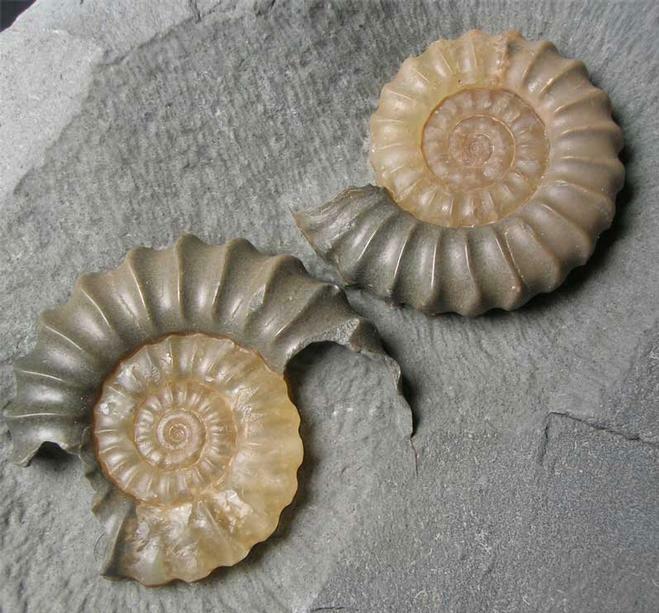 The top ammonite has an incredible bite taken out of the living chamber by either a Dapedium or Furo, these were two predatory contemporary fish around at the time, feeding on easy prey such as the Promicroceras. Biting the living chamber would disable the ammonite and the fish would gobble up the soft parts. 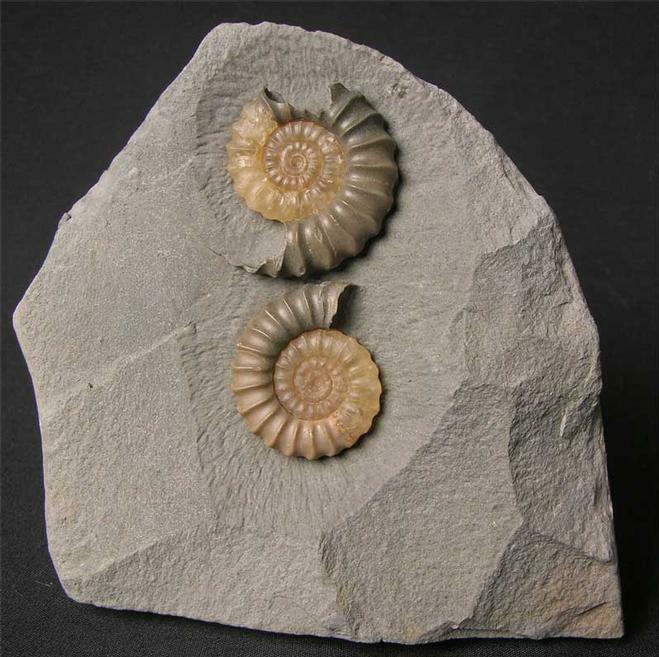 Many hours of preparation has gone ito this superb fossil by Andy Cowap. 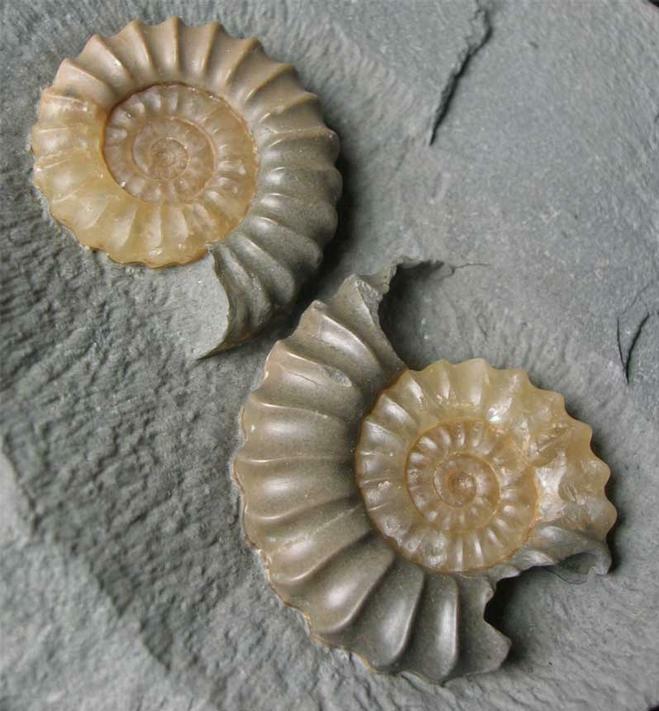 Fossils Direct strive to constantly bring to our customers the very finest and rare fossils from around the UK. Approximately 200 million years old.